Kosciuszko is one of the best known and best loved national parks in Australia, attracting around three million visitors each year. The park is named after Mount Kosciuszko, which at 2,228 metres is Australia’s highest mountain. The park is approximately 150 kilometres in length, running from the Victorian border to the west of the ACT’s Namadgi National Park. At 690,000 hectares it is the largest park in New South Wales and the Australian Alps. There are many recreational opportunities available in Kosciuszko that allow visitors to enjoy the spectacular mountain scenery. These range from activities around the developed resort areas through to self reliant recreation in the wilderness. Roads winding through the mountains and across wide open plains offer a variety of driving experiences for cars, coaches, motor-homes and motorbikes. Kosciusko’s walking tracks will take you past crystal clear streams, glacial lakes, deep gorges, high peaks, historic huts and other culturally significant sites. 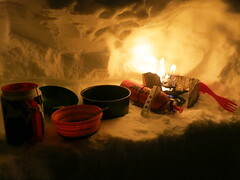 There are also many scenic camping sites with basic facilities. Scenic management trails open to cyclists run through most areas of the park. Do not follow these trails onto private property without permission. 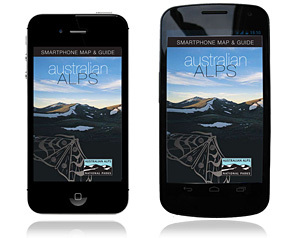 All New South Wales alpine resorts are within Kosciuszko National Park. In winter, many visitors head for the resorts of Perisher Blue, Charlotte Pass, Thredbo and Mt Selwyn for snowplay and a variety of snowsports. Other activities that visitors can enjoy include guided walks, rafting, canoeing, kayaking and mountaineering adventures. The Australian Bureau of Meteorology Up to date information including charts and satellite images. Aboriginal people lived on the plains, river valleys and foothills of the mountains for tens of thousands of years. 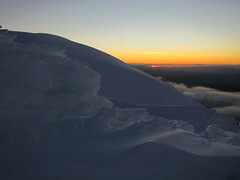 On the highest mountains, important spiritual ceremonies were attended by groups from south-east New South Wales, north-east Victoria and west of the mountains. The mountains also form an important part of a complex network of ceremonial, song and story lines which run across the country. While the whole of the landscape is important to Aboriginal people, areas within Kosciuszko continue to have special significance. Kiandra, in the north end of Kosciuszko National Park, was the scene of one of the shortest gold rushes in Australia from 1859 to 1860. The discovery of gold led to a sudden influx of goldseekers, so that by early 1860 there were about 4000 people in the town. Today, Kiandra is a ghost town, but one that is well worth a visit as a number of buildings remain and a heritage walk signposts the sites of many of the original buildings. Work on the Snowy Mountains Scheme, the majority of which is located in the park, started in 1949 and was finished in 1974. More than 100,000 people from over thirty countries came to the mountains to work on the project. 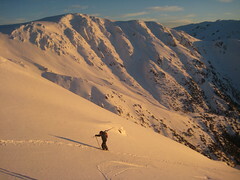 The ski industry within Kosciuszko National Park developed thanks to the access provided by the scheme. The park contains six wilderness areas covering about 300,000 hectares — the Byadbo, Pilot, Jagungal, Bogong Peaks, Goobarragandra and Bimberi wilderness areas. Its alpine and sub-alpine areas contain rare plant species found nowhere else in the world. The vegetation varies from herbfields of snow grass and snow daisies, heaths, feldmarks (consisting of bare, stony ground between plants), and alpine bogs. Kosciuszko National Park is home to rare animal species. The mountain pygmy possum Burramys parvus was thought to be extinct until 1966. The possum is only found in Kosciuszko National Park above 1500 metres and in the high country of Victoria. The southern corroboree frog Pseudophryne corroboree is found in the park’s alpine sphagnum bogs . See this page for a full listing of visitor centres.